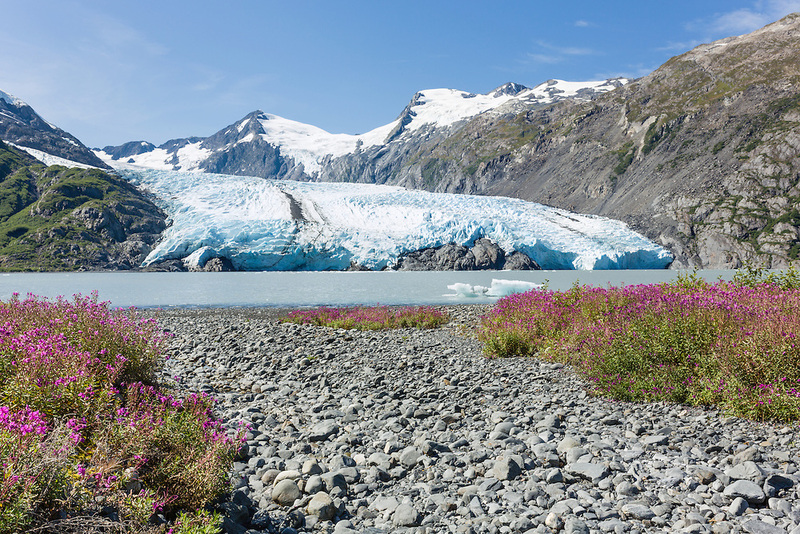 Dwarf Fireweed (Epilobium latifolium) lines the shore of Portage Lake with Portage Glacier in the background in the Chugach National Forest of Portage Valley in Southcentral Alaska. Summer. Afternoon.